Here’s another article that I’ve written for the Texas Nationalist Movement. Click below to read! Romney Apology to Trump, If I Were Writing it! Rumors of a Romney apology to Trump, the price of his being put forward as the nominee for Secretary of State, circulate in the ether of the internet. What he’ll actually say, if anything, is a matter of conjecture. Romney made a lot of scathing accusations of Trump! How do you take back those statements made with such seeming earnestness and still hold any credibility? Well, this is my approach. Ladies and gentlemen, I give you the Romney apology that should be. Enjoy! Ladies and gentlemen of the press. Thank you for your kind attention today. As you know, over the last several days, there has been a lot of speculation about the possibility of me filling the Secretary of State slot in a new Trump administration. Certainly, it is well known that I have been meeting with Mr. Trump lately, and this possibility has been discussed. However, the President elect has requested that before a formal offer of the Secretary position can be made, I must first issue an apology for my criticism of Mr. Trump during the campaign. After giving this a fair amount of consideration, I have the following Statement. In the fog of the 2016 campaign, I made several critical remarks of Donald Trump. I said that he wasn’t a conservative in the mold of Ronald Reagan.1 I also said that that his business successes were exaggerated, his policy prescriptions were flimsy, his foreign policy ideas were ridiculous and discriminatory.1 Should he become President, I said, his economic policies would lead to recession. Additionally, I claimed that dishonesty was his hallmark, and that bullying, greed, braggadocio, misogyny, and third-grade theatrics marked his personal character.1 I said all things, and many others still, but I think you get the picture. Anyway, since the election, I’ve had time to reconsider these beliefs and observations on Donald Trump, some of which were made over the course of years. I’ve been paying close attention to Donald, and how he has performed since his victory over Hillary Clinton, and I have come to an inescapable conclusion: my critique of Donald, given during the campaign, was essentially correct. As of this moment, there exists little new information that compels me to change my mind or revise my conclusions. Donald Trump remains essentially the same morally bereft con-man, now, that he was before the election. Donald has demonstrated this in many ways. For instance, consider Donald’s failure to deliver on his promise to set himself apart from his business dealings should he win the Presidency. To date, Donald has not sold his businesses, put them a blind trust, or turned over his companies to his children, with Donald staying out of company affairs and they staying out of state affairs. No. He continues to operate both the affairs of state and business, intermixing them along with his family. In fact, in countries where he holds interest, like Argentina, he seems to have used his inevitable office to benefit himself and his businesses, receiving the permits that had hitherto been stalled. The timing and the appearances of this point to impropriety. If true, this would be a gross dereliction of the grave responsibilities of the great office that Donald will soon occupy. Donald knows better. Adding to the warning signs that Donald will be nothing more than a politician after the most cynical tradition is his rapid retreat from some of his more important campaign promises. Donald promised to tell his Attorney General to appoint a special prosecutor to investigate possible crimes committed by Secretary Clinton, but has since backed away from this promise on more than one occasion. Certainly, an argument could be made about preserving the independence of the AG by not demanding an independent prosecutorial appointment, but that is not the argument being made by Trump and his surrogates. Instead, they echo the need to move on, to not hurt her, or more ridiculously, to “help her heal.” What about justice, Mr. Trump? Doesn’t that bear consideration? If Secretary Clinton committed crimes (as it appears she has) shouldn’t she get her day in court as any less politically connected American citizen most certainly would? And if not, what signal would that send to the would-be corrupt and powerful? More importantly, what does the decision to allow Hillary Clinton to escape justice portend for how the Trump administration will conduct its business? The answer to that likely will fill the country with doubt and apprehension, not hope for the country’s stability. They might ask themselves, “What separates our country from so many Banana Republics, run merely on the whim of a strong man?” What, indeed? And what about Obamacare? Donald promised to repeal this very unpopular, failing, and oppressive law. However, it seems that after one meeting with the current President and his no-doubt highly flattering reception of Trump, Donald is willing to retain some of the more expensive and crippling parts of that law. This is disturbing, not only for how easily pliable Donald seems to be under the influence of a complimenting tongue, but also how it calls into question Donald’s convictions. I give credit to all involved for being compassionate towards those with pre-existing conditions, and certainly this is an issue that needs to be dealt with, but using the power of government to force insurers to accept them is not only improper, it will result in the government having greater involvement in the healthcare industry (which historically has been a net negative), including employing greater public funds from an already bankrupt government. Donald needs to keep his promise of a full repeal of Obamacare, and also develop free market solutions to solve this and other healthcare issues, and not just offer big government by Trump rather than Obama as a solution. As President, he’s supposed to be the people’s servant and act in their best interests, and not do merely what is politically expedient. It’s not about him. He can’t treat the U.S. as if it were merely one of his casinos, one that he can cast aside in the event it goes belly-up, safe in the knowledge that he’ll be protected while his investors have to pay the piper. I could go on. Trump’s issues are not confined only to the one’s that I’ve mentioned. That is not to say that none of Donald’s solutions have been completely lacking in merit, but he’s shown little that he has the knowledge of nor any interest in dealing with the important and even existential issues that the U.S. faces, such as the $30 trillion dollars in debt that looms on the horizon like a hurricane. Should things not dramatically change in this area, meaning the dramatic reduction of federal expenditures (something Donald is loath to do), the U.S. faces an economic calamity possibly worse than any that world has yet born witness to. It has been suggested that Donald’s consideration of me for Secretary of State has always been a charade, and that Donald never really intended to nominate me for the position. Instead, what he wanted was to humble me for my previous comments, to get me to apologize and then give the position to a less independent person. Putting in Donald’s terms, he wanted to get me on my knees, as, during the election, he once bragged he could do if he so chose. Well Donald, I’m not in the habit of apologizing for telling the truth. Furthermore, I have no interest in serving in an administration where, because of Trump’s Machiavellian machinations, the status quo is such that honesty is always in doubt, where conservative solutions are often seen as means to pacify the base instead of being the determined plans of the President, and where it seems corruption is firmly ensconced even before the oath of office is administered. Like many Republicans, I support my party for its ideals and values. I don’t support it because I like the color red. Likewise, I opposed Hillary and the Democrats based on principle, not party loyalty. If, under Donald’s leadership, my party comes to represent the antithesis of the time-honored and time-tested values of inclusion, limited government, and individual liberty, principles that have served it and the country well, then the party will no longer have me as an advocate. If recent reports are true, that Trump advisers are circulating in Congress the idea that this is no longer the party of Reagan, then I’d say that the GOP is already on that lamentable track. Under Trump, the only real principle is personal loyalty to Donald himself, not loyalty to the country, the Constitution, conservative principles, or even decency. My serving as Secretary of State would do little to changed that, and so I would rather not have history attach my good name to that of Trump. Those that have condescended to associating with Donald, good and principled people, instead of positively affecting Donald have only found themselves ethically or ideologically tainted. I will not join them. I’ve tried too hard to be an honorable person to throw that away for anyone. My public service was motivated through an interest of being some use to our beloved country, for the good. I am not so interested in power that I would principally change who am in order to gain it. Therefore, as if it’s not clear by this point, I am not interested in being Trump’s Secretary of State nor serving in a Trump administration in any capacity. I will not apologize. It is up to President Trump to prove me wrong, to prove to me and the rest of the country that he is more than just the lesser evil of a deeply divide election. Should he do this, proven though sustained ethical and wise leadership, then, I will happily apologize. To that end, I wish Mr. Trump success, and to America, I bid good luck! Well, that was a surprise, wasn’t it? It seems that the polling for the 2016 Presidential election was a tiny bit off, with many news outlets giving Hillary Clinton a near 100% chance of winning! I’ll admit, I was surprised as anyone. I assumed that the information, which had been until this point had been largely accurate, was correct… It wasn’t. Whether the reason for this was faulty or deceptive polling methods or the emergence of the mythic “hidden Trump voter,” ALMOST EVERYBODY WAS WRONG! And to the horror of many, Donald Trump is the President Elect of the United States of America. Those that follow my blog know that I considered myself a part of #NeverTrump, and the reasons for this are easily understood: Trump is a pathological liar (even for a politician) and he doesn’t seem to have any apparant moral scruples or transcendent philosophy that guides him. I’ve called him a “paleofascist” because he has an almost total ignorance when it comes to the Constitution or limited government, and his governing philosophy can be best summed up in “I want things done! You, go do them!” I believed that because of Trump’s lack of moral character and less-sophisticated take on government he would turn off enough conservatives and conservative leaning independents. This would (I suspected) depress the GOP turnout enough that Hillary, who is also morally bankrupt and a fascist ideologue (different from Trump’s an instinctual fascism), would be a shoo-in by Democrats, who aren’t as concerned about personal moral issues and limited government. This turned out to be incorrect. Trump ended up defeating Hillary in a historic upset that was probably caused by some combination of depressed voter turnout for the Democrats, Bernie supporters rejecting Clinton and instead voting for Johnson or Stein in key areas, Hillary’s criminality in government outweighing Trump’s own foibles among Republicans, and white voters sending a message that they are so sick of central casting in the media and the White House making them perpetually the villain of History, culpable and punishable. To many voters, Trump was tool, a conveyance for then to give the whole politically correct establishment the finger for telling them they must be eternally deferential because of the color of their skin and religion. People all over the world, as well as in the U.S. reacted in many ways to the news that Trump would become the 45th President. In Russia, there was a sigh of relief as the prospect of war with the U.S. seemed small under a President vocal about wanting to avoid antagonizing them. Countries, like the Philippines, who have had their issues with the current administration, were congratulatory towards Trump. In the American media, there was weeping and gnashing of teeth. I reacted to the news of a new Mr. President pretty much as I predicted I would: Shock and disbelief… but then something else. It didn’t take me long for me to savor the fact that Hillary Clinton, perhaps the most corrupt woman of my lifetime, on the eve of her realizing her life’s ambition, would have all her dreams of avarice snatched from her grasping wrinkled digits and crushed, and in the most dramatic and humiliating or ways: bested by a two-bit con man. This was supposed to be her moment! All the laws she broke, all the corruption, they were all necessary and justified sacrifices leading to the end-goal of power! And she who holds the brass-ring has all her sins washed clean! However, she failed. She does not go directly to heaven! Instead, she must wonder (with the rest of us) will President Trump make good on his promise to go after her, Elliot Ness like, with all the powers of the Justice Department? This has all the makings of a great tragedy! If she wasn’t so thoroughly wicked (not to mention unlikely to pay for her crimes under a likely magnanimous Trump), I might just feel sorry for her! Yet, after all this schadenfreude, one must return to the reality that now Donald Trump will be the President, and that proposition is not nearly as enjoyable. Now, I’ve said a lot of mean things about Trump, and I want to be clear… I take none of them back. What I’ve said about Trump was true before the election and still is. Trump’s character does not improve for having won. Donald does not magically become a moral person or devoté of conservatism for having slain the dragon. I wish it were so, and I would love to be shown that Trump is that rare historical exception. One could hope that Trump could be so awe-struck by the reality that he will now sit among such august peers as George Washington that he would be changed for the better, but how realistic is that? As Ben Shapiro observed, power tends not to make an awful person good. If Trump wants to reform himself, that’s on him to show us. What’s undeniable is that Trump now has power. Setting aside the debate on how much credit Trump personally deserves for his own victory, the reality is that he is the recipient of the spoils of his circumstance. He has beaten the odds, survived his own party’s attempts to abandon and remove him, and Trump probably feels empowered to any application of authority that he wishes. The monster sparked to life through a perfect storm of progressive overreach, congressional inaction, and media corruption is now loose. Trumpenstein is unbound! If you’ve seen the old Universal Frankenstein films, you know that there always attempts to control the monster. However, those attempt always end badly. Those that believe that they will likewise be able to harness Trump toward conservative action may be just a bit naive! In the coming months, you will find various groups trying to control Trump, for better or worse, but I would submit to you that Trump will only let himself be led into areas that he wants to go. Conservative voters and evangelicals that largely gave Trump his victory will be disappointed as Trump breaks promise after promise to them. Trump’s not a conservative, and you should have known better. Your reward is not being under Hillary, but that maybe it. Obama will try to control him, to get Trump to salvage Obamacare. This Trump will do, but only because his instincts tend towards big government. He may not keep it all, but he’s already indicating he will break his campaign promise of a complete repeal of the ACA. Congressional leaders will try to control him, but I think they’ll find very quickly it is they that will be controlled by him. Trump became President with only wavering support from Congress, and so Trump holds the cards. Hillary Clinton will try to control him, to avoid prosecution. If she’s nice to him, Trump will most likely break his promise to appoint a special prosecutor to look into Hillary’s illegal activity, just as I predicted he would. Trump’s only dilemma seems to be how to make his voters accept that he will not give them what he promised, such as his signature policy idea: the wall. This will not be difficult with his hard-core supporters (as evidenced by his campaign pivots). They will go where they’re led, but it will be more difficult with those that only reluctantly voted for him and still hope for conservative ends. Other than that issue, Trump will feel free to do as he pleases. He has no equals and will be controlled by nobody unless they have leverage over him or are willing to stroke his ego. No chains will hold him. No means of dispatching him has yet been devised. The media, lock-step detractors of Trump, has been largely rendered impotent. For months, they’ve railed against him while mostly ignoring Clinton’s obvious felonious actions. The result was that they’re ignored by the public, and this scathing rebuke has even led some media outlets to cry, “Mea culpa,” on their bias. The villagers, horrified that democracy can result in their ideas being rejected, have emerged from their parent’s basements with pitchfork and torch, marching in a futile attempt to bring down the monster! But even they, in their whinny and violent indignation, can do nothing to stop him. Trumpenstein stands atop a burning windmill, inviolate and invincible. Anyway, as we go into this new age of Trump, let me end this piece with a kindly word of warning to our President-to-be and perhaps just a shred of hope for those of us who had hoped for a principled reformer as our President. Trump’s win had much less to do with the people’s love of him than it did with the people’s frustration at an intractable and corrupt political system that continually operates outside of its legal mandate, steals the freedom of its citizens, and continually lives outside its means. I realize that it is not humanly possible for Trump to keep all his often-contradictory promises, but he does have a chance here to do something great and prove to the country that he is not merely the lesser evil. First, he should Recognize that he has few friends to be made on the left. The riots and the safety pin campaign should have convinced him of that. However, he has yet possible allies on the right, and If he has the guts to restore the constitutional balance of limited powers, deal with the existential threat of U.S. debt and deficit spending, and resuscitate the idea of personal Liberty and responsibility, then he could not only eliminate any future conservative primary opponents but possibly go down in the annals of Americana as the President who gave the U.S. back her true self. Instead of being vindictive, using the powers usurped by Obama, perverting conservatism, and making palatable the idea of tyranny he could recognize the wisdom of our founding fathers and preserve it for future generations. If not, then Trump will be (as I suspect) essentially the same as the many more mundane Presidents and politicians that proceeded him: just a new pair of hands on the infernal machine. I hold a slim hope that Trump can show us and the world that he can be more than is, but even slim hope is better than none. He may be a monster, but who’s to say that a monster can’t be good? In fact, to reform this government, it may take a monster and their monstrous determination to see it through. So, on behalf of all Americans of good-will and on behalf of justice and Liberty, Mr. Trump, please, be our monster. Here’s my latest article for TNM, just before the election! Here’s an article by the Daily Caller about the Texas Nationalist Movement featuring me and some of the other good folks at TNM! Well, it’s finally here. The great climax of the 2016 elections is finally upon us! Either you’re eager with anticipation, filled with hope and excitement for what a new President might bring to the country, or (if you’re a realist) you wait as the flu-infected, clutching the toilet, waiting for the wretching that must soon begin. However you choose to greet Tuesday’s election, here are my predictions for that night and the next executive administration! Trump will win Texas and a few swing states. Perhaps McMullin will win in Utah. However, I think its going to be Hillary by a nose (perhaps a bit more) on Tuesday night. While it would be more interesting to see a 269/268 split with McMullin getting a state, ultimately resulting in a House of Representatives election, I must admit that’s not the likeliest scenario. The night will be long, although. Hillary, the favored victor, will be found to have cheated, to a certain degree, but there will be little done about it. Trump will cry foul, then try to fold that discontent into a media empire, profiting from the disaffected. There will be no need to look out for any violent revolts (probably), for all the fierce talk of Trump Twitter trolls. The anger will remain, festering below the surface, to become… who knows what? For the time being, Trump supporters will retreat to their enclaves, FoxNews, and the rumored TrumpTV. If any civil unrest does happen because of Trump supporters, look to Hillary to press some sort of political advantage, perhaps attempting the federalization of all law enforcement, such as Obama has suggested. Sadly, Hillary will not be indicted, as she so richly deserves. The corrupt system will continue. In fact, it’ll have a new lease on life. For Hillary, feeling encouraged by beating the rap so publicly, will be emboldened to expand it. It’ll be Tamney Hall on steroids. After all, she’s gotten away with it for so long, so why not? She may even hide it a little less. Her dutiful lap-dogs in the press will only deal with it, buried on page nine, as an inoculation against charges of bias and as something to get people accustomed to the new normal. Because she’ll enter office weak for having made few gains in congress and having no mandate, Hillary will be too hampered to do things the legal way. However, that’s no problem if you have a pen, a phone, and a seared conscience! To accomplish anything from her bucket list, she will likely rule by executive fiat, perhaps even more than Obama did. The weak Republicans will do little to stop her but speechify, file law suits, and make other showy, yet ineffective, protests. Hillary will not be removed from office, though she could be impeached. This even though she’ll likely monetize the White House, as the Clinton’s have done before, as Hillary did in the State Department. Additionally, she’ll also use all departments of the executive, such as the IRS, EPA, and the FBI, to attack her adversaries. The evidence for the various legal cases against her will vanish. The National Debt will balloon. Hillary will continue the corruption of the judiciary, including the Supreme Court. The second amendment will be reinterpreted to negate it, as has been tried before. Religion and speech rights will be greatly curtailed in line with values that Hillary has already expressed. Look to the government to actively prosecute a few churches for their beliefs, perhaps even infiltrating the Catholic Church in line with the suggestions made in leaked Podesta emails. Republicans will not resist in any meaningful way; a few may even support her in her efforts, making a meaningful GOP opposition impossible. The result of this election will be a left wing authoritarian machine in full sway, and all because a persistent plurality of disaffected Dems and Republicans gave Trump the GOP nomination, and also that the party failed to remove such a fundamentally flawed contender when they had the chance. In this, the GOP effectively gave a wounded opposition the game ball, and let them score. Although, many of these things would probably have happened under a President Trump, just more slowly. Hillary will push the envelope like a woman on borrowed time, and if the worst of her health rumors are true, she may be. However, we may see something positive come out of this, like a flower emerging from beneath a few inches of manure. The states may become more brazen in their opposition to the federal government’s overreach, asserting their tenth amendment rights. Some, like Texas, may even pull away from the Union altogether, and Clinton may be too weak to stop it on her own. Any one of Hillary’s core policy initiatives might trigger some secession scenario, the most likely being an Australian-style gun grab such as Hillary has expressed interest in. This could happen even at the mere attempt to get it through congress. If a new Clinton Presidency results in the restoration of Constitutional Liberty, through it being a catalyst for independence, then there’s the silver lining to a very dark cloud. Apart from that, don’t expect much good news for the next four years, just decline and disintegration. Enjoy! I just saw a meme declaring Trump to be the best man for the job (I can only assume they meant POTUS, for if they meant manning a shine box, I might agree). Words escape me to adequately describe how wrong that is. Evan McMullin is by far the more intelligent, competent, experienced, and conservative choice. However, we’re so Pavlovian when it comes to our two parties that his chances are slim. It may be true, MAYBE, that Trump is a little less bad than Hillary, but that doesn’t make him even nominally fit for POTUS. Trump’s election would mean the abandonment of morality/ethics by the GOP, their full embrace of big government, the continued reduction of Liberty, the head-long sprint towards suicidal debt, and death of the supposed constitutional party. Also, you might want to come to terms with the fact that Trump won’t fight for what he doesn’t believes in (i.e. The Constitution), and he rarely listens to advice, so it would be wise to not put your hope in a President Trump surrounded by handlers with cattle prods, ready to give him a mild but memorable shock when he steps out of line! If he wins, be satisfied that you beat the Democrats… before it dawns on you that you’ve become the Democrats. I will vote for McMullin, even if it turns out to be largely symbolic. Trump will have to take his chances without me. I’m not going to affix my name to that atrocity for the chance at slightly better than the most corrupt woman of our age. Yes, perhaps Hillary will win and thusly beat the rap, but I will only accept responsibility for that in the event that it comes down to one vote in Texas. At some point, Trump has to own his being as ethically and princibly challenged as he is. I will not support a candidate who would destroy all of which I believe, only more slowly than the other candidate. And, forgive me if I find HRC going to jail poor compensation for the loss of all that (assuming that it will happen, which I doubt). Character Matters, Even When It Doesn’t! There’s been many attempts to justify Trump’s lamentable lack of self-control and entitled boorishness lately, accompanied by condemnation for those who’ve either repented of their support of him or have used recent events to call for Donald to quit the race. The whole issue centers on the recent revelation of a tape detailing not only his boasting of adultery (something we already had examples of) but also Trump’s possible sexual assault. However, concern over this latest Trump outrage is not, as some would describe it, merely case of pearl clutching and faux moral superiority. Donald Trump is a moral reprobate, one who has scant repentance of his actions nor any moment of clarity that he could point to as aiding him to change his ways. He is and has been a rake who believes his wealth and fame give him license to do… pretty much whatever he wants! This information was out there for anybody who cared to read it. Anybody who claims ignorance of this fact is either living in their own special bubble or lying. That goes double for the politicians who knew and yet lined up behind him! What is at issue here is a case of proverbial chickens coming home to roost. Those of us who opposed Donald Trump said that this day was coming, and that when it did come it would prevent Donald Trump from winning the White House. If the polls are to be believed, this has indeed proven a true prophecy. The “cast the first stone” crowd would do well to consider the truth of this before casting their own judgment on the motivations of those calling it like it is. Yes, politics is filled with characters that do such boorish things (see video of Obama showing off his erection to female reporters), and certainly there is none among us without sin, but the wanton disregard for Trump’s bad character is what led the GOP to this moment where they stand to lose all, unless by some miracle Trump puts the country before himself and drops out. Again, his bad character will prevent this. So this is where we are, on the brink of party destruction and placing at the country’s helm possibly the most corrupt politician of our time! This is all made possible by excusing, to unheard of degrees, the character quality of the GOP POTUS nominee. Character may not matter to Democrats, but the GOP are supposed to be better! If, however, you still insist that Trump’s character is not an issue, even now, then perhaps you should consider how you judged Bill Clinton when he ran, and contemplate giving him an apology. 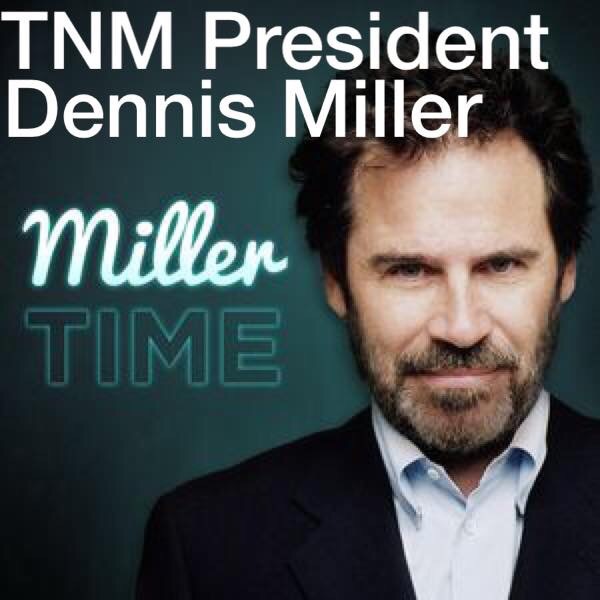 Read about a major development in Texas Independence in my latest article for TNM!